The oldest daughter of a 37 year US Military Air Force Chief, Buenita has enjoyed the distinguished pleasure of traveling and learning much of the world before deciding to settle down in the best place on earth right here in Tallahassee. Almost forty years ago, as so many do, she came to attend law school at FSU and found love shortly after, getting married just a year later to her husband of 38 years. She worked in the banking field for a short time back then and found a passion for service that lasted more than thirty years in the university youth and professional development field. Buenita enjoyed several years of international travel working as a professional diplomat training specialist, teaching others about international protocol and corporate etiquette. It is no wonder that anyone who meets or works with Buenita is made to feel comfortable and they can’t help but know she is working for them from start to finish, and then some. She cares about her clients, they feel that, and it shows every step of the way. Buenita Sells Tallahassee Real Estate! Her dynamic, wholesome energy motivates and inspires individuals to set goals for themselves and they go for them–with Buenita by their side to help guide them along the way. 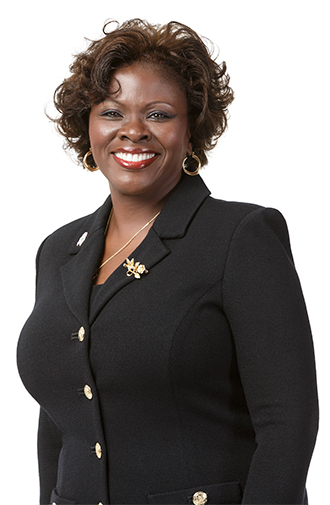 In addition to her Florida Real Estate License, Buenita has B.S. degree in Office Administration Management and a Masters in Educational Leadership and Adult Education. Now into her third career, she is a treasured and valued part of the Investors Realty team. To her credit she is a consummate time manager which is essential to this mother of three, and grandmother of 12! Buenita is always available and accessible to her friends, family and clients. beyond personal development to become homeowners and real estate investors in Florida?